When the time comes for you to install a new roof, the first thing that should be discussed is exactly what materials you should use to complete the process. Many people are often surprised at the many types of materials that are available for them to choose from, especially in terms of roofing shingles, as they all have their own benefits, pros, cons, and costs. If you are not sure what type of roof you have, talk to our North Vancouver roofing company and we’ll be happy to help. Here are some of the most common types of roofing shingles that are available on the market. 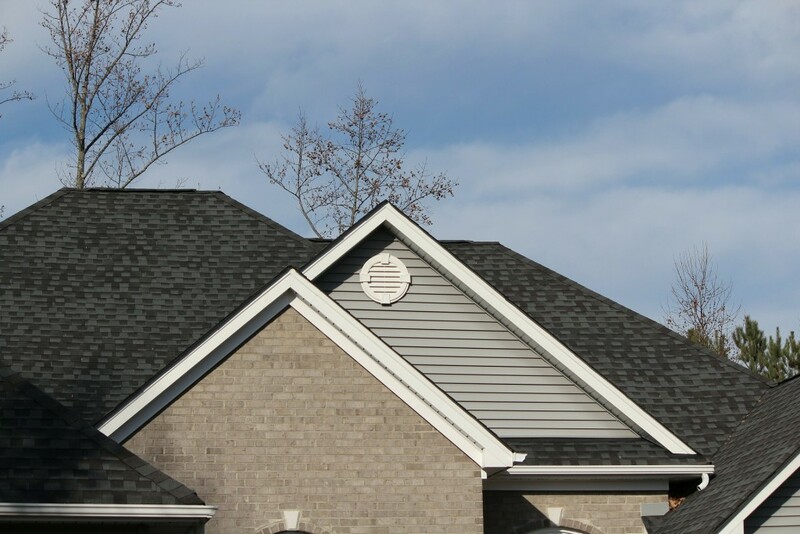 These particular shingles vary depending on the manufacturer that you choose to go with; however, they tend to have more design improvements than traditional shingles do, such as double lamination, fiberglass reinforcement, and adhesion. They also have a longer warranty time due to their improvements. Also known as laminated and architectural shingles, these are extremely popular for many roofing projects. They also have warranties that last for over 30 years, and there are all sorts of different styles that you can choose from. This provides your roof with a more three-dimensional look. Additionally, they are also much thinner than more traditional shingles, which helps give it that actual look itself. Thanks to these factors, the length of the warranty is also much longer as well. These types of shingles are generally less popular, despite the fact that they have a rather rustic look. This is because their overall construction is made from either traditional wood or cedar. Nowadays, they can be easily replicated with materials that are more durable, such as fiberglass, which helps to lower the maintenance while, at the same time, keeping the same appearance. As their name suggests, these shingles are resistant to virtually many types of impacts as opposed to more traditional shingles. A lot of them are tested at high wind speeds in order to ensure the best resistance to impacts such as hail. In order to be “impact rated,” all of these shingles are tested using the UL 2218 standard, which also includes impacts from steel balls at different locations. These are shingles that are recommended for use on homes where storms or high-impact debris are frequent. While generally made from clay, tiles will not only help insulate your home, but also create a beautiful look for your roof. They’re also very resilient to harsh weather, and they’re also a much lighter alternative to more traditional shingles. It helps to lighten the overall weight of the tiles, which cuts down on the need to reinforce the construction of your roof. So long as you choose the right materials for your roof, it will look good and last for a long period of time, as well as outlast any inclement weather condition. The only real issue is that there are so many awesome things to choose from and it can be hard to know about each and every one of them. Organic and fiberglass are the two main types of these shingles. The organic ones are made out of wastepaper that has been completely soaked in asphalt, allowing it to become waterproof. Afterwards, adhesive coating is applied to it containing embedded ceramic granules. The fiberglass shingles are similar in nature to the organic ones, except they contain a base layer of fiberglass to assist with reinforcement. Regardless of the one that you prefer, both are extremely durable and are excellent roofing materials in areas that see heavy winds. Asphalt shingles are relatively inexpensive and are also the most common that can be found across the entire country. These are generally designed to look like slate or cedar; however, they are a lot more durable. They can also last for up to 50 years, meaning they don’t require a lot of maintenance. One big benefit is that they can be installed over an existing roof, which can save you a huge amount of money. 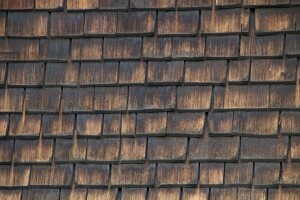 On the other hand, they do tend to be more expensive than traditional shingles and are also more difficult to install. These are made from wood that has been cut. They are also light in weight and very easy to install, replace, and repair. Not only are they attractive, but they also help to improve insulation in your home. On the other hand, since they’re made of wood, they don’t really help to resist fires as well as other types of shingles do, and they’re also more likely to develop issues such as mold and rotting. This is one product that is becoming increasingly more popular as of late both inside and outside of homes. They also provide excellent protection against fire and many types of weather conditions. However, slate is also expensive and it requires an expert amount of installation. Furthermore, the material may also be too heavy for some roofs. On the other hand, the material itself is extremely durable and has a very long lifespan.